This is a stimulating book of exploration, experience and philosophical meditation. As always with Robinson, the writing is exact and eloquent, the terrritory exciting. This is a book to cherish and re-read, challenging, infuriating and satisfying in turn, with nuggets of poetry glinting between the curves and planes of its ideas - and passages of pure gold.' - Mary O'Malley , Irish Times 'A marvellous writer - there are multifarious pleasures contained in the 11 essays.' - Eamon Sweeney, Sunday Tribune In an essay from 1996 collecton Setting Foot on the Shores of Connemara and Other Essays, Tim Robinson noted that 'we are spatial entities Â- which is even more basic than being physical entities, subject to the law of gravity'. 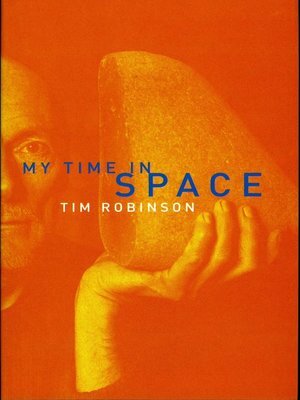 In this dazzling new series of essays Robinson examines aspects of his own 'time in space', moving from his childhood in Yorkshire, to a deadly moment on a Malayan airstrip, a pilgrimage to the midnight sun, adventures in the art-worlds of Istanbul, Vienna and London, and finally to the spaces of the West of Ireland which he has interpreted with incomparable attention and fidelity over the past three decades. The essays explore problems in mathematics and mapping, the human implications of the arc of a missile the feelings of a sceptic upon approaching divine ground in the company of a mystic, and other encounters of the empirical with the numinous: Robinson has an uncanny capacity to write convincingly about both. The sequence ends with an angry outburst against the continuing destruction of the Irish countryside and a moving hymn to the delights of his own house and garden at the edge of the sea in Connemara. My Time in Space is the latest instalment in a literary corpus of singular integrity and endless fascination. Tim Robinson was born in England in 1935. Stones of Aran: Pilgrimage, published in 1985, won the Irish Book Award Literature Medal and a Rooney Prize Special Award for Literature in 1987.